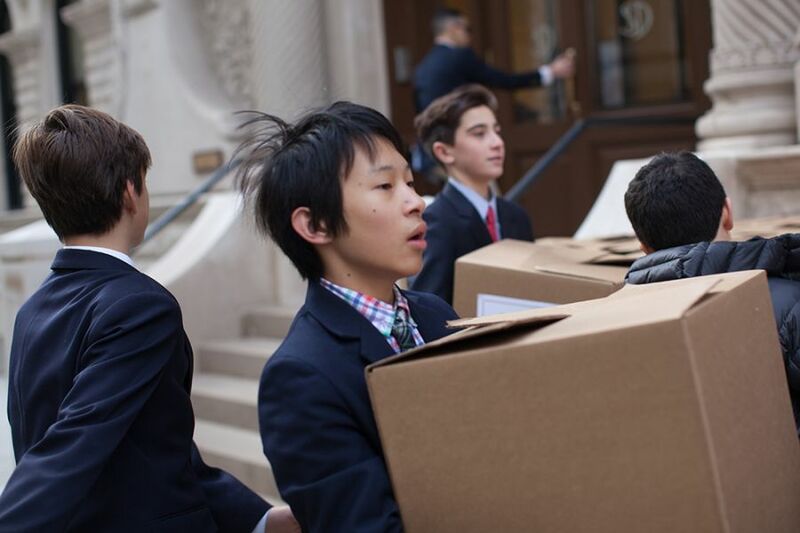 Saint David's boys participated in the school wide Thanksgiving Food Drive, a longstanding social action project. Throughout November, boys and families donated canned goods and non perishable food items. The eighth graders led the drive, collecting the items and selling holiday pies to finance the purchase of turkeys. On the day before Thanksgiving the grocery baskets assembled by the eighth graders were donated to Msgr. Leonard's (R.I.P.) previous parish, Incarnation; the Lion of Judah Assembly, sponsored by staff member Stanley Livingston; and Bethel Community Church, sponsored by staff member Will Best.